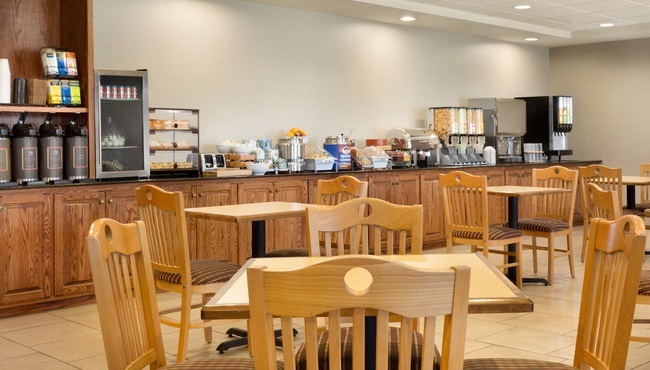 Fill your plate with fresh fruit, waffles, breakfast burritos and more each morning from the free, hot breakfast at the Country Inn & Suites in Meridian, ID. Savor a second cup of coffee and a warm pastry before hitting the slopes of Bogus Basin. For lunch or dinner, try one of the tasty nearby restaurants. If you dine at Jakers Bar and Grill, RAM Restaurant & Brewery, Texas Roadhouse or Café Olé, show your hotel room key card for a 10-20% discount on your meal.